Atelier CoFab - Now Open! 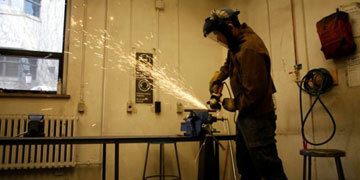 The Department of Visual Arts is proud to announce the opening of the Atelier CoFab | Arts Makerspace. This space, located on the second floor of the Department of Visual Art, 100 Laurier, is a shared Faculty of Arts space that focuses on the intersection between art and digital technology. 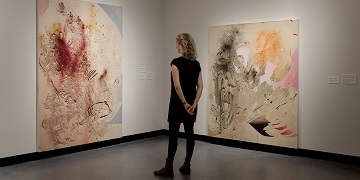 Why Study Visual Arts at uOttawa? Whether ones interest is painting, sculpture or photography students attending the visual arts program have accesses to a broad range of facilities and equipment. The Visual Arts Student Association (VASA) is a group of students committed to speaking for the Visual/Fine Art student body each school year. AHSA’s purpose is to create an environment where students of the History and Theory of Art (HTA) program and other art lovers across campus can interact and share ideas about art. 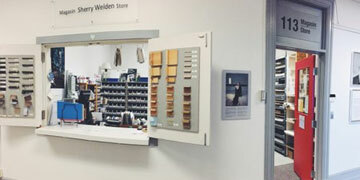 Sherry Welden Art Store is the University of Ottawa Department of Visual Arts' comprehensive supply shop. Open to students and the general public, we carry a wide range of professional materials, both in store and through special order. The Department has several large student run galleries that allow students to document and curate their own exhibitions. 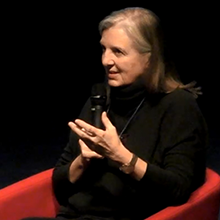 The Department of Visual Arts at the University of Ottawa, in collaboration with the National Gallery of Canada (NGC), was delighted to welcome artist Liz Magor for the fourth annual Stonecroft Foundation Visiting Artist Lecture Series. Apply to the Bachelor in Fine Arts and the Major in Visual Arts: DEADLINE extended until further notice.